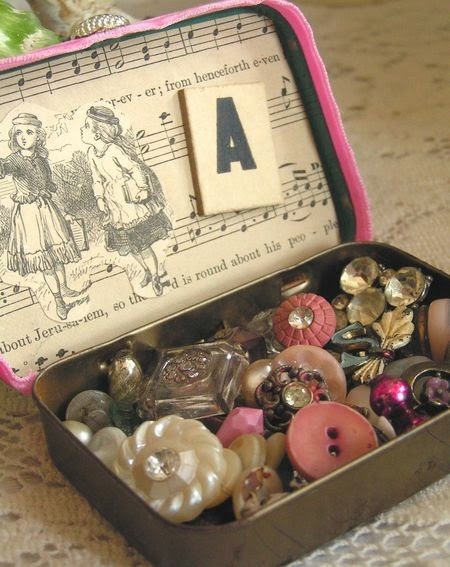 IMAGINE your treasured knickknack collection as jewelry! Truth is, we all hold on to old trinkets and odd memorablia here and there. We stashed these pretty items away in protective silk bags and boxes. 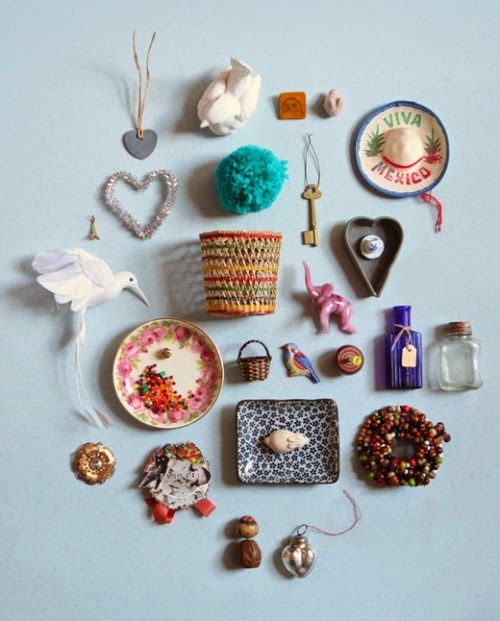 They are mementos from fun passages in our lives, like that keychain from your trip to Mexico, or the colorful party favor you gave at your Quinciañera, or that button that you took from a ripped jacket simply the because you liked and it made you happy. It's always fun to revisit these collections, but what is most fun it to bring them back to circulation, to give them a new life, to wear them as jewelry. Such is the case for these brass shells. A Winker brought them in for revival. They were from one of those 80's suspender clips that were used on the back of jackets. Remember those? How I wished I had taken a picture of the before.The brass shells were all worn out, blacken, and filthy. They were attached to a dirty off-white elasting band. I quickly cutoff the elastic and started to visualize what the shells could become. 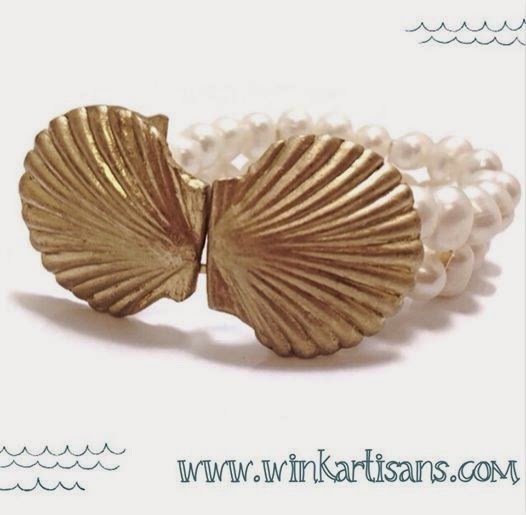 I cleaned them up and used a gold leafing pen to give them a gilded surface, I added the pearls and then it came to me, a bracelet was the goal. Our Winker is happy with the end result. Do you have treasures you wish to transform into jewelry? Go ahead, it's super fun! 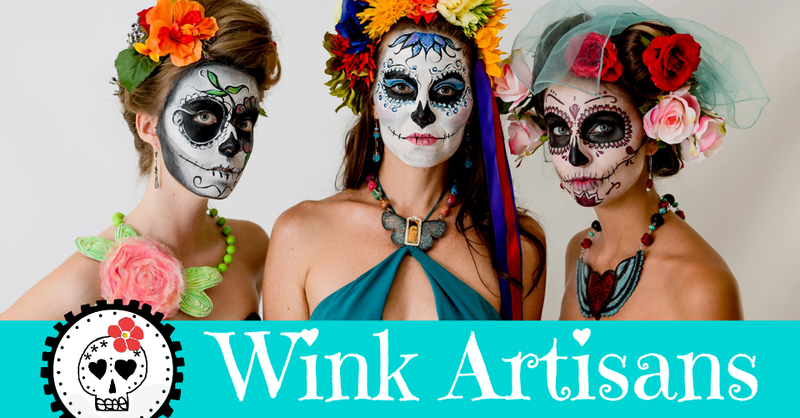 You can always pick my brain for ideas or bring your treasures over the the Wink studio for a consultation. I'm here to help you out if you need it. Have a blast and as always, rock your Wink! 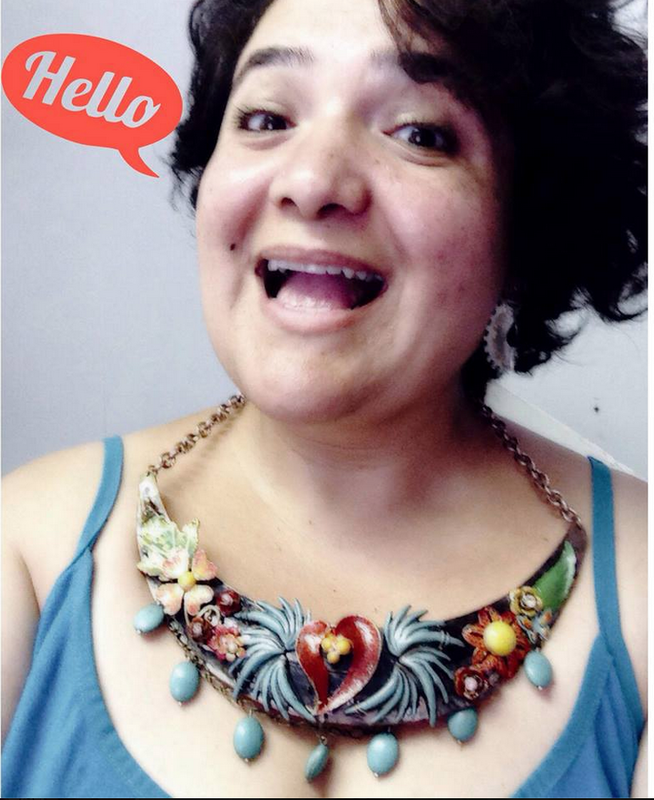 maker of stunning, Mexican-themed, artisan jewelry.